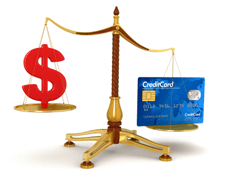 Making sure your debt load is balanced to your income level. Debt-to-income ratio is a key indicator of your financial health. It helps ensure you don’t get overextended with credit. It’s also the ratio that lenders use to determine if you get approved for a new loan. 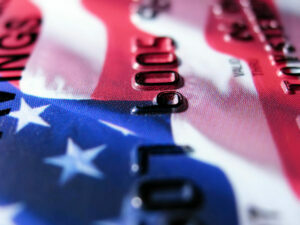 So, it’s essential to know where your debt-to-income ratio (DTI) stands. 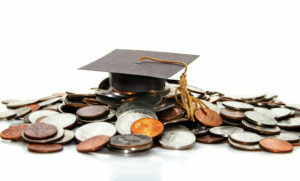 It serves as a good early warning sign that you may have too much debt. That way, you can stop charging and focus on repayment at the right time. Calculating your personal debt-to-income ratio is fast and easy with this free debt-to-income ratio calculator. Simply use your budget to fill in the numbers below and click “CALCULATE” to determine your personal DTI. If you’re not sure how to use DTI or what it means, there’s more information below the calculator. We recommend returning to this page to periodically check your debt ratio, particularly if there has been a recent change in your income or financial situation. Note: All values required below are monthly. If you receive income and/or make payments on a different schedule, determine how much you pay on a monthly basis to enter the values below. Debt-to-income ratio ranges: What does my DTI mean? 36%-41% This is a good amount of debt relative to your income but you may need to eliminate some debt before you apply for your next loan. Debt-to-income ratio is what lenders use to determine if you are eligible for a loan. If you have too much debt relative to your income, you won’t get approved for a new loan. For most lenders, the cutoff is around 41%. If you spend more than 41% of your income on debt payments each month, that makes you a high-risk candidate for a loan. The concern is that you won’t be able to afford all your debt payments and may default. Thus, you get rejected for the loan. Another good use of DTI is that you can use it to determine if it’s time to get help with debt. If your debt-to-income ratio is higher than 50%, you have an urgent need to eliminate debt. 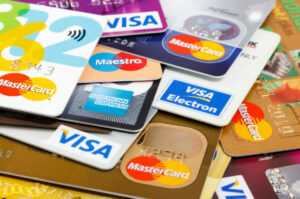 However, if you owe that much, it can be difficult to pay off credit card debt using traditional monthly payments. You will often need help to become debt free. This map shows the average debt-to-income ratio of credit users in each state who call for credit counseling. The colors reflect how much debt-to-income ratio has increased or decreased from 2017 to 2018. This gives you an idea of where to draw the line when it comes to how much debt you have. If you’re facing these kinds of high debt-to-income ratios, then it may be time to get help. If your debt-to-income ratio is too high and you need help, talk to a certified credit counselor to evaluate your options to get out of debt.